This course is a refresher course for environmental planning. The course is open for non planning graduates. Therefore, the important subjects included in the examinations shall be discussed. The students will receive complete materials from (1) all lectures in soft copy (2) review book, which summarizes the entire lectures emphasizing the important information that are most frequent in the exams in hard copy (3) reference materials, which lectures were taken from in soft copy. These three items will be given ahead of the lecture days once fully paid that is available on March 30, 2019. The online mock exams will be provided one month before the exams that will be accessible on May 5-June4, 2019. 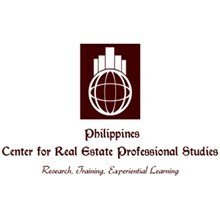 To: Philippines Center for Real Estate Professional Studies, Inc.
Philippines Center for Real Estate Professional Studies, Inc.
You've successfully shared Environmental Planner Review for Board Exam on June 5-6, 2019 in Cebu City- May 9-12, 2019. An error occurred while sharing Environmental Planner Review for Board Exam on June 5-6, 2019 in Cebu City- May 9-12, 2019. Please try again.